Did somebody say "tropical paradise?" That is exactly how our guests describe their experiences at Pine Island RV Resort. Located on the Gulf Coast of Florida, Pine Island Resort is just 30 minutes from some of the country's most popular Gulf beaches. 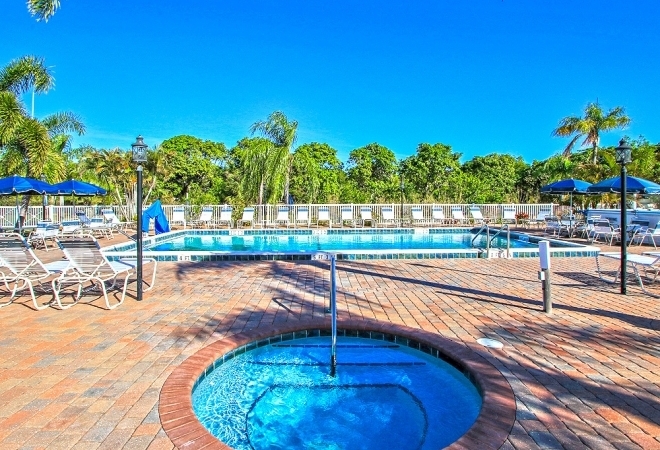 When choosing our Florida RV park, you're experiencing all the perks of a true Southern Florida vacation. Pine Island RV Resort offers many attractions to our guests. Whether you are a fisherman, boater or just like to cruise around the island, you can find a water attraction close to this resort! Take full advantage of our waterfront location with a lakeside site. Wake up to beautiful sunrises and enjoy breathtaking sunsets at Pine Island RV Resort. We also offer bus trips to the local beaches, historical attractions and flea markets.